This is going to be a quick one. 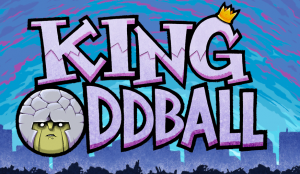 King Oddball is a puzzle game where you play as the titular King, and attempt to conquer the world by throwing rocks with your tongue. 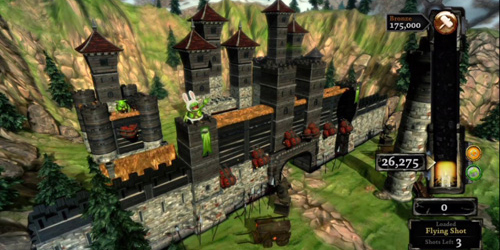 It started life as a mobile game, but has been ported to the PS4. There isn’t much to it, so I’ll get right into it. 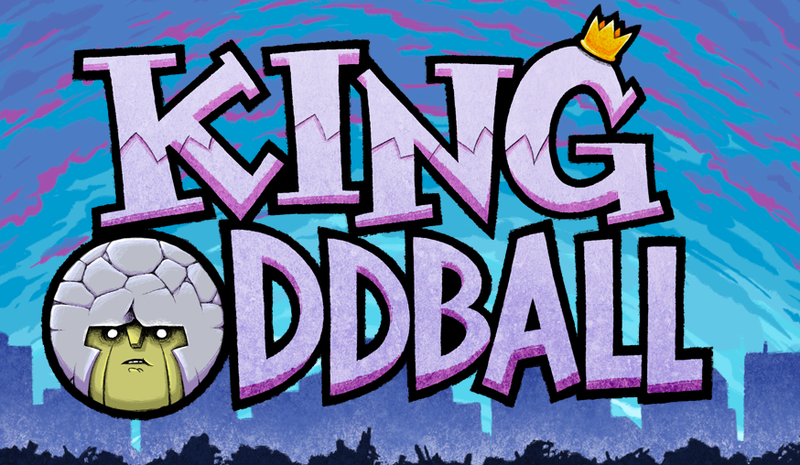 Essentially, King Oddball is an Angry Birds clone. You throw rocks instead of birds. You aim for tanks and helicopters instead of pigs, but otherwise, it’s the same sort of “throw things at other stuff to kill your enemies” gameplay. 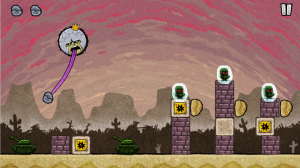 The controls, which consist entirely of hitting the X button when you want to throw a rock, work exactly as well as you would hope for a game that requires only one button. The puzzles are well put together, and interesting to work through. What sound there is, is pretty good. The one background song and one victory track work well for the setting, and don’t get overly repetitive. The in game sound effects are decent, but could have been a bit louder or more violent. 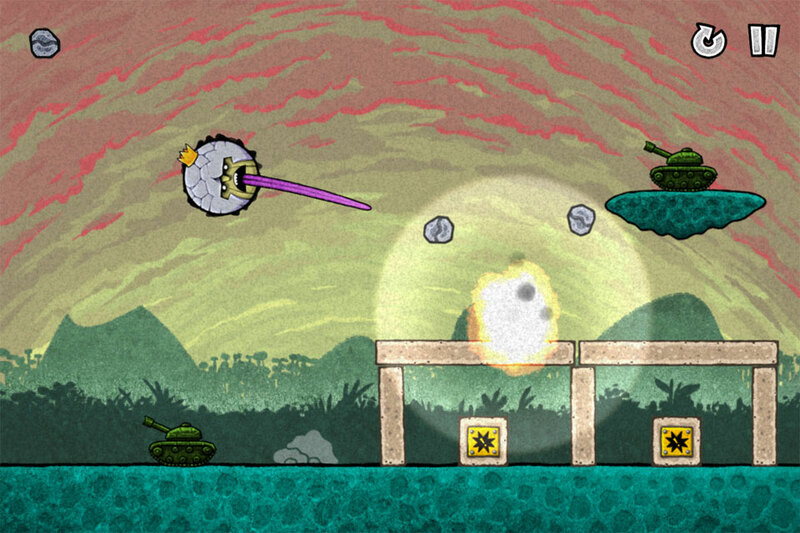 An exploding tank should give a bit more than just a dull rumble. The graphics are simple, as you would expect from a mobile game. Because your enemies primarily consist of vehicles, they have far less personality than the pigs from Angry Birds. The backgrounds are among the most interesting things to look at. They have the most variety and color of anything in the game. 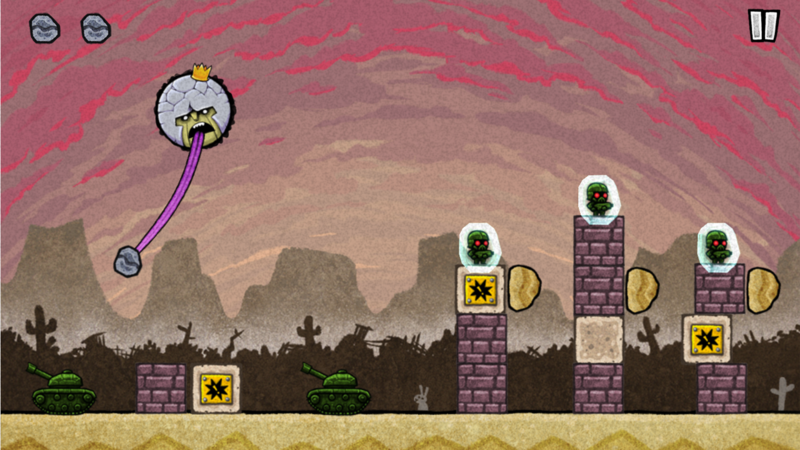 The game is short for the main set of puzzles. I got through the campaign in about two hours. However, there is plenty of replay value, in that you can challenge yourself to complete each stage without using all of your rocks in order to collect diamonds. There are also special challenge maps where you get grenades instead of rocks. If you enjoy the game, there is a lot of replay value in it. Despite that, with an asking price of seven dollars for what is a port of a mobile game, it’s not even close to worth the price of admission. 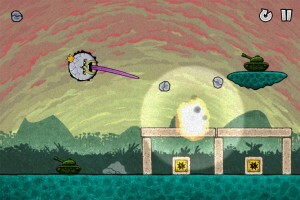 An overpriced clone of Angry Birds. There is no real reason for this game to exist on consoles, and at seven dollars, it costs far more than you should spend on it. If you want to play it on your phone, its free to try, and you’d probably have a good time with it. On the PS4, it is a waste of your time and money. Don’t waste your time.